Far more than good handling, F1 success is made or broken by technology – as Seb's discovered regularly. Here are some of the problems that have plagued the German this season. After getting off to a good start in Monaco – a Grand Prix where Vettel has always been very successful – Seb's turbo inexplicably failed. With his car now woefully underpowered, he dropped from third position to 20th before being forced to retire, the first time he has failed to finish the iconic Monte Carlo circuit since 2009. Vettel's championship-winning cars have always trumped the competition in terms of downforce. But Red Bull's F1 design guru Adrian Newey and his team have yet to find a way round this season's FIA aerodynamic regulations, depriving the 27-year-old of the Velcro-like levels of grip that took him to four back-to-back titles from 2010 to 2013. Vettel was forced out of the Q3 session in Spain back in May after a gearbox failure, relegating him to 10th on the grid and then to 15th thanks to the subsequent penalty for replacing said gearbox. Despite that, Seb managed to record the fastest lap of the race and finished fourth, though still behind Red Bull stablemate Daniel Ricciardo. After an engine software issue during the formation laps shunted him down to 12th in Australia back in March, Vettel reported an engine problem before the race had begun. He quickly dropped to 17th, suffering a huge loss of power and was forced to retire, with the software that balances the engine and battery load seemingly to blame. Problems with the Energy Recovery System (ERS) have plagued Vettel ever since the second day of testing back in Jerez in Spain. Specifically, the team has had serious trouble keeping the ERS cool, which has cost its drivers valuable grid positions, notably in Monaco where the car failed entirely in the first qualifying session. When Vettel lost drive on lap two of the Austrian Grand Prix in June, Red Bull initially blamed an engine failure, prompting team principal Christian Horner to criticise Renault furiously. As it turned out, it was actually an electronics fault but, either way, it meant our man was again forced to retire, as he did back in Spain. This year's engine carries a lot more horsepower and torque than in the past, and Vettel's Pirellis have struggled to cope, breaking down quicker than the team's race strategies have planned for. This has only been amplifi ed by the lack of downforce, with the rubber skidding more against the tarmac, causing them to disintegrate faster. T3: If you could add one piece of tech to your car this season, what would it be? SB: Maybe air conditioning – sometimes it gets very hot. But we have so much in the car, I would actually take tech out; things that manage the systems in the background, where you are not in charge. The main thing I'd lose, though, is the [ERS] batteries. They have a big effect on how the car and brakes feel. There's a lot involved in trying to be as efficient as you can charging them, using them again and so on. Without them, driving is more natural. T3: Does modern safety tech allow you to be more aggressive without consequences? SB: It's a fine line. If you look back 40 years, it was a given that 20 per cent of the drivers that started the season were probably not part of the next season. You don't want to go back to that but it has obviously lost some excitement. That element of danger is why I think people like watching F1 – they see people do what they can't do. T3: Although another reason F1 is progressing safety tech is because it's intended for use in road cars eventually. 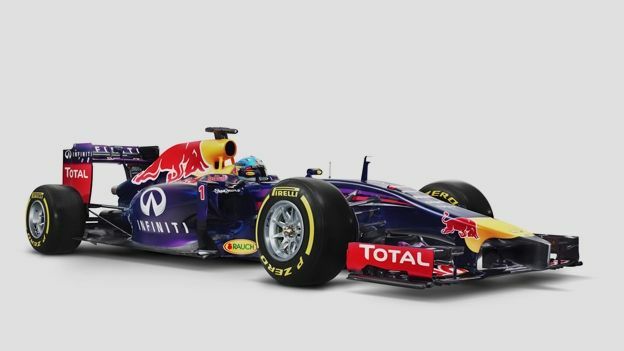 SB: Yeah, but you can't compare what we have now in Formula 1 to a car on the road, we are so far ahead. What we do with the system is brutal. But it helps you learn a lot about the cars, the strengths and the weaknesses, and then, sure, that translates eventually to the road-car market. T3: Do you keep an eye on Formula E at all? SB: No… I already want to take the batteries out of my own car! I don't want to say it's all bad, but to me it's more about the driving and how the traditional F1 car is supposed to make noise and attract people in that way. T3: Which media has done a good job of putting F1's exhilaration on screen? SB: Well, I saw Rush this year. You know that the manoeuvres and stuff are a bit Hollywood but it's difficult to get that across. There was a movie in the 60s called Grand Prix [directed by John Frankenheimer] that was very raw. It's old and obviously you can't compare with nowadays, but in terms of how it's cut and how rough the sport can be, it's a good portrayal. T3: What would you do be if not a driver? SB: It was always clear I would make money through racing. But if I didn't drive, I'd have gone into mechanical engineering. From there you can choose a lot of things I'm interested in. T3: What tech do you use out of the car? SB: My phone, just like everyone nowadays. I like to just switch off and listen to music. I don't have that much stuff, I'm not really a serious TV watcher; at home I watch a movie in the evenings to switch off but not when I'm travelling. T3: We kind of assumed you'd have a huge, “This is my thee-ater!” cinema room. SB: I think I have a 60-inch TV. A few years ago, that was a big deal, but now not so much.